Duramax has built a reputation for producing the most reliable Diesel Engines available today. When something goes wrong with your Duramax Diesel Engine, you don’t want to take it to just any shop. At Coopers Auto Repair Specialists, our ASE Certified technicians are highly trained and have many years of experience working on Duramax Diesel Engines. Our shop performs nearly every imaginable service on Duramaxs in the Tacoma, WA area. Bringing your Duramax to our shop means that your vehicle will be treated with the care and respect it deserves. You don’t have to worry about being charged for services or parts you don’t need. 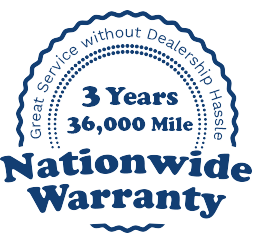 Our technicians operate at the highest level of integrity which means we will recommend and perform only necessary repairs or service on your Duramax. We have all the appropriate tools and advanced technology to ensure we get the job done right. Our goal is to keep your Duramax Diesel Engine performing at its best for years to come.